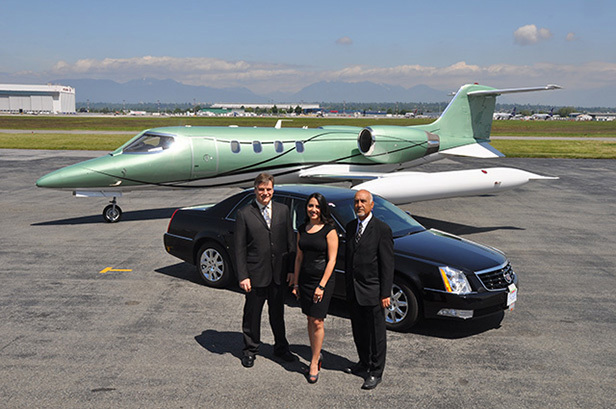 Griffin Transportation Services has been serving the greater Vancouver area and beyond since 1999 and in 2001 the company merged New Pacific Limousine and Vancouver Limousine, increasing the variety and flexibility of our services and fleet, while maintaining the exceptional service levels our clients expect. Today, our modern, impeccably maintained fleet ensures that all of your needs are covered, whether it’s for a trip to the airport in a sedan, moving a group between meeting locations in our SUVs, Vans and Mini-Coaches, or coordinating transportation for road shows in multiple locations around the world, we have a vehicle for every need you may have. Griffin Transportation is not, however, just about our fleet. Today, Griffin Transportation has an experienced and knowledgeable staff delivering luxury executive services, corporate travel programs & solutions, as well as logistical support and chauffeured services for destination managers, corporate travel professionals and meeting & event planners. Our technology is second to none, ensuring accurate pick-up times, automated confirmations and receipts. This combination of vehicles, technology and professional staff has allowed Griffin Transportation to provide "The Ultimate in Safety, Service and Satisfaction" to each of our clients, each and every time you call or travel with us. Of course, Griffin Transportation isn’t just a Vancouver area provider. Through a large, high quality affiliate network, Griffin Transportation provides the same luxury limousine service in virtually every city you might find yourself – around the globe. Our customer support and reservations staff is available for you 24 hours a day, 7 days a week – no matter when or where in the world you are traveling, we stand at the ready to deliver “The Ultimate in Safety, Service and Satisfaction"